We like having Oatbox cereal for breakfast, as it is delicious and flavourful without being too sweet. 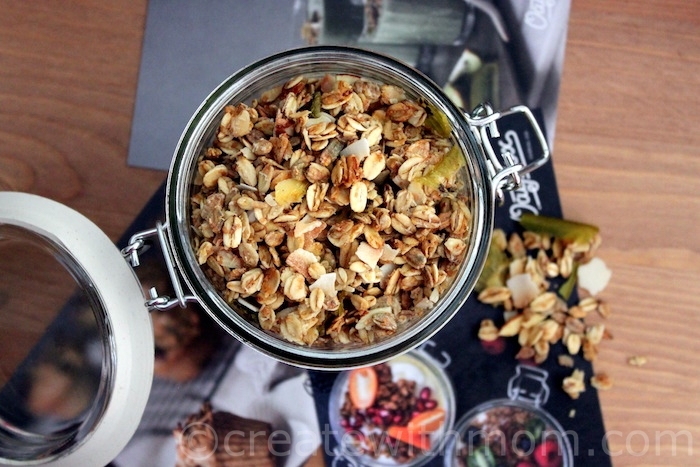 This granola type cereal is made using natural and healthy ingredients. 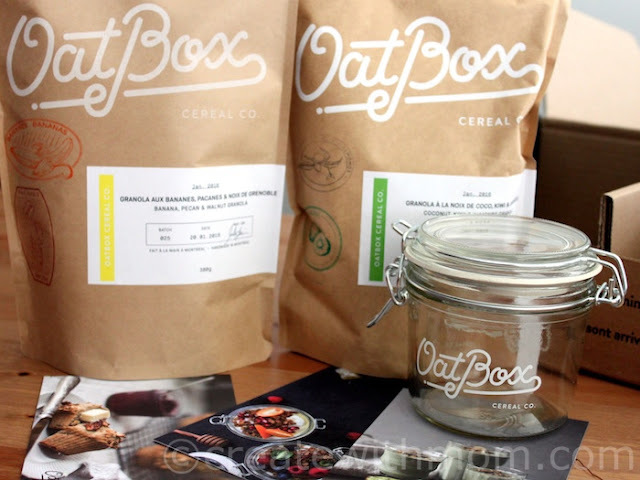 Oatbox, a Montreal based company started making this breakfast cereal inspired by entrepreneurs, foodies, artists, early birds, and busy people. The chefs at Oatbox create two different mixes every month inspired by the seasons. I like this approach as we can enjoy seasonal ingredients, and add variety to our breakfast. 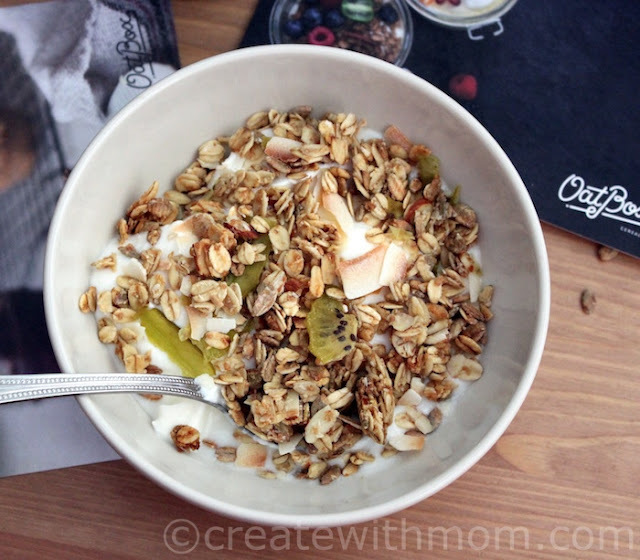 Our favourite way to have Oatbox cereal is with yogurt, however it can also be enjoyed with milk or included in our favourite recipes. On the first order, we will get two bags of full-sized different flavours of cereal, and a free glass travel jar. I like the freedom of choice when we subscribe for Oatbox. We can change our shipping address at any time, skip a month if we won't be around, or cancel our subscription anytime without extra cost using our personal account page. Oatbox sends a notice 3 days prior to sending the monthly box letting us know what will be in the month's mixes. We have a choice in deciding if we want these mixes, and for any reason if we don't want it we simply click "Skip next month" and we will not receive them or get charged for that month, as the subscription continues to the next month. If you are allergic to any ingredient, you can let them know, and they can send two of the same mix or mixes from the past month. For those in Canada Oatbox will arrive via Canada Post, and for those in the United States by UPS without any shipping charges. 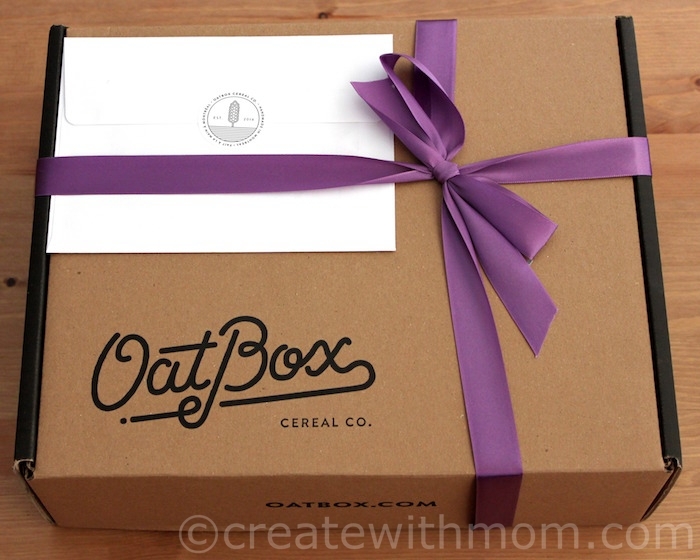 Oatbox has partnered with the Breakfast Club of Canada on a delightful initiative, so every time they ship a box to a customer, a child receives a breakfast before school. 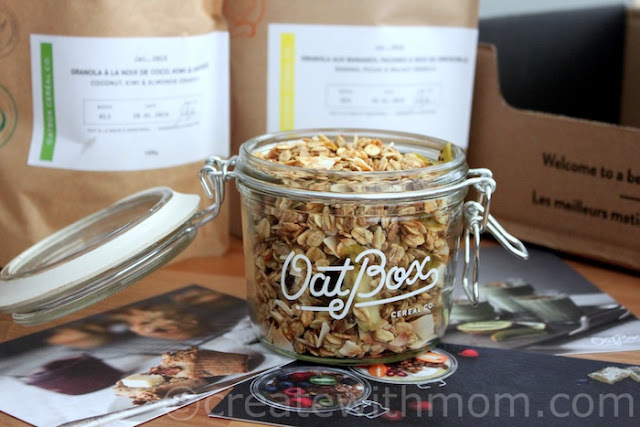 Be part of this initiative and order your Oatbox today! Use the discount code fbc_createwithmom to get $5 off your subscription. I love cereals, not only for breakfast! This is a fantastic idea! I love that for every time they ship, they provide breakfast to a child before school.